Usability: mumbo jumbo or magic bullet? Increasing blockbuster patent expiries combined with geographic market expansion will fuel healthy growth in the cancer generics market. 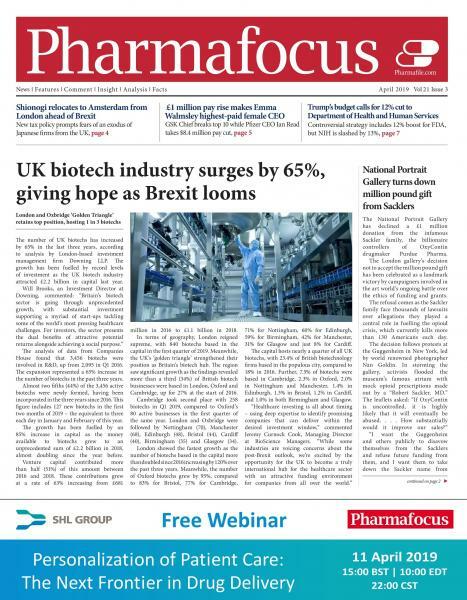 Parallel trade: is pharma fighting a losing battle? What do recent rulings mean for pharmaceutical companies that want to increase the trademark protection on their products? Does healthcare copywriting break the rules? Is pharma forever in the box? Can pharma ever embrace new marketing ideas? EDC: electronic data capture or eliminating data corruption?